For a gift of ultimate indulgence, look no further than the Hab Shifa range of body products. 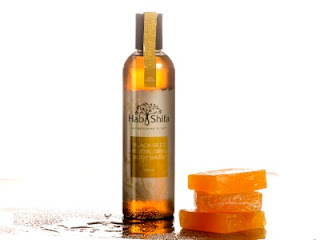 In an Australian-first, Hab Shifa Revitalizing Body Wash features premier ingredient Black Seed Oil-renowned for its essential fatty acid and anti-bacterial properties. Infused with the essential oils of geranium, rosewood, chamomile and bergamot, the combination of natural and organic ingredients supports the natural moisture balance of the skin while gently cleansing to even skin tone and clear impurities. A unisex product that is suitable for all ages with endless benefits for the skin.